Associate Professor at the Mechanical Engineering Department (DEMec-FEUP), University of Porto, since 2004. He got his PhD degree in Computer Science at LAAS-CNRS, Toulouse, France, in 1996. His curriculum vitae can be checked here. His current scientific interests include embedded systems, real-time communication systems and related reliability issues. He is an active member of his scientific community. His publications profile can be checked at Scopus, Researcher-ID, Research-Gate, Authenticus or G-Scholar. 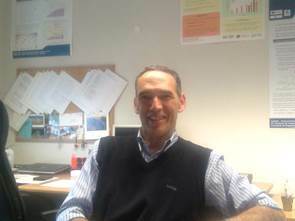 Prof. Francisco Vasques was director of the Master in Mechanical Engineering at UPorto (MIEM) from Nov. 2006 till Oct. 2014. The NTU ranking of MechEng@UPorto can be checked at 2013rk or 2012rk. He is Senior Researcher at INEGI - Institute of Science and Innovation in Mechanical and Industrial Engineering, which is a Research Unit of LAETA - Associated Laboratory for Energy, Transports and Aeronautics.